Parasteatoda tepidariorum? Not showing on photo: Dark mid stripe ends about halfway upper side abdomen. Female body size, about 7 mm (on eye), male about half that. 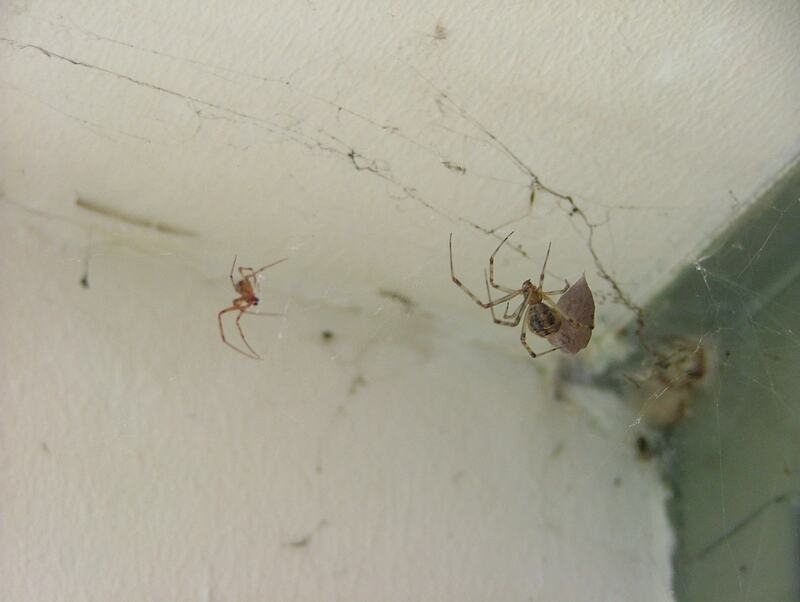 Web: as theridiidae. About 3 meters of the ground, sticky and strong. No matted midsection. Size was about 25 cm in diameter. I've relocated both + egg sack into terrarium, to learn more and get a better look at things. I'll try make some better pictures if needed.